All picture and information in the thread are the property of Michael Dougherty and Steven Banom and cannot be used for any business purpose without the express written consent of both parties. 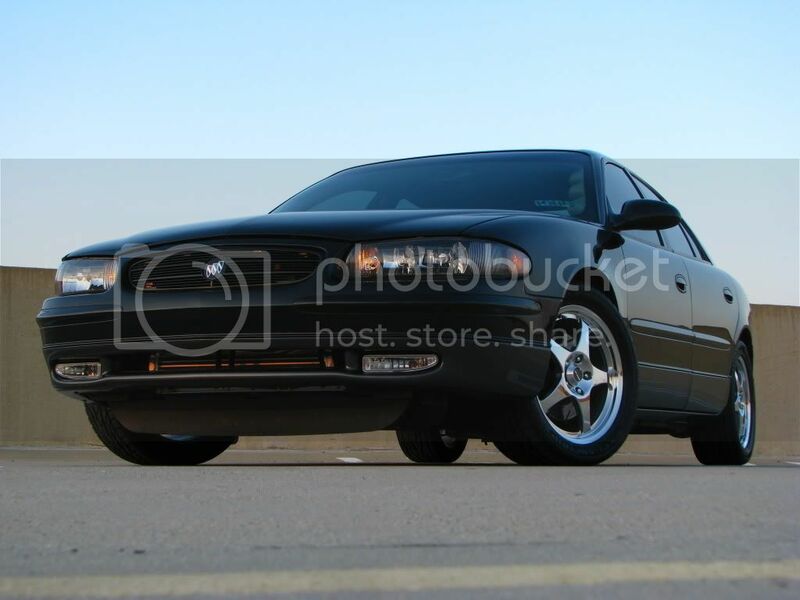 In late December 2006, I was originally looking for a "beater" car to drive while I could spend the much needed time to fix up my current ride I was using at the time. 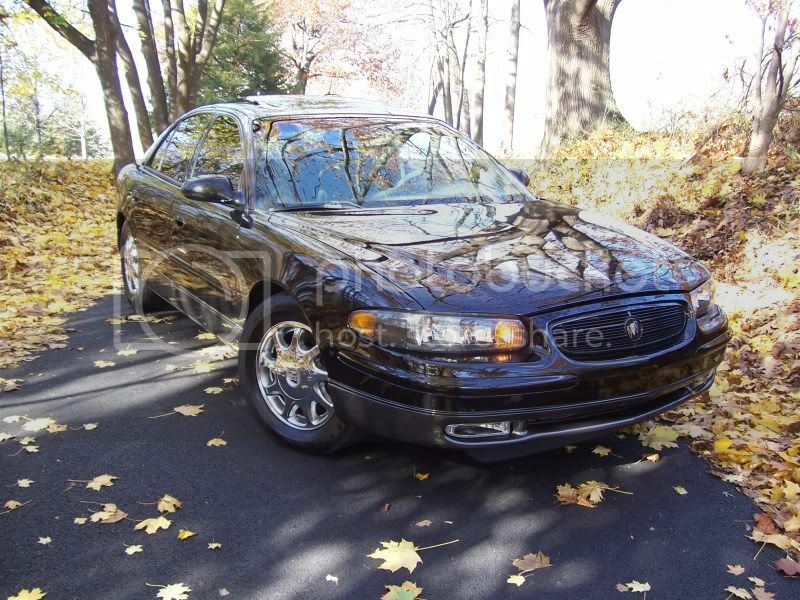 After many failed attempts of finding some type of 5 speed beater, I started looking at some automatic cars. Being an automatic however, I was looking for a certain type of car then. 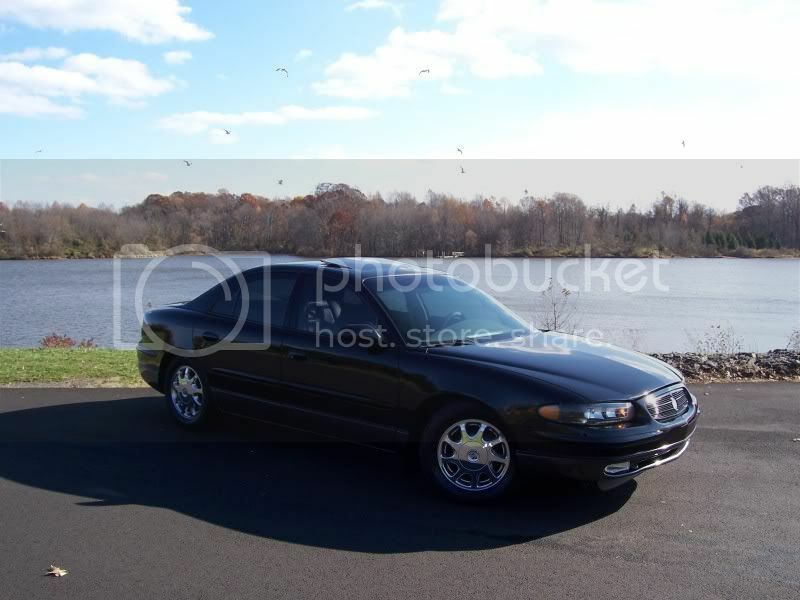 Throughout high school I had always dreamed of owning a 1997-2003 Supercharged Pontiac Grand Prix GTP. I just always thought they were a cool car and wanted one. 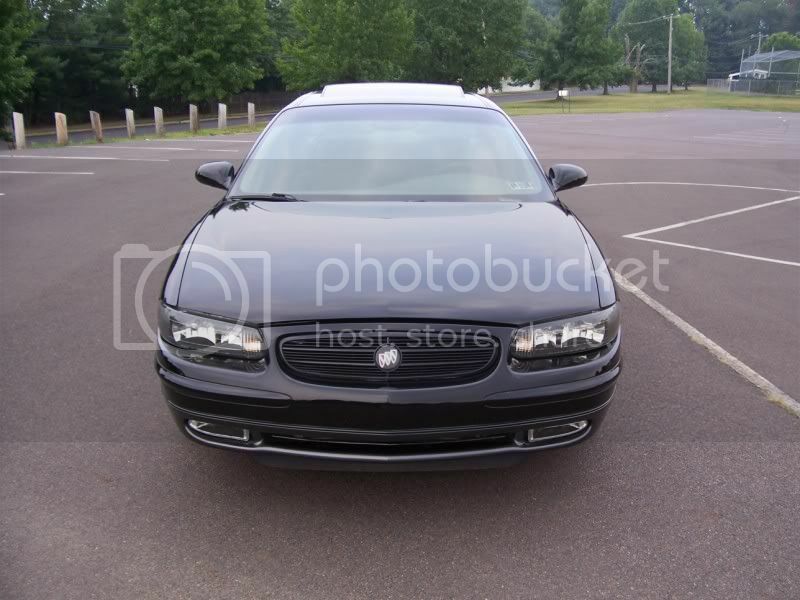 The funny thing is I had a friend that would always tell me the 1997-2004 Buick Regal GS was a much nicer car and they came supercharged just like the Grand Prix. However I told him that why would you ever want to own a grand pop looking Buick Regal over the sportier Pontiac Grand Prix? The older ones were in my price range at the time so I decided to start looking. 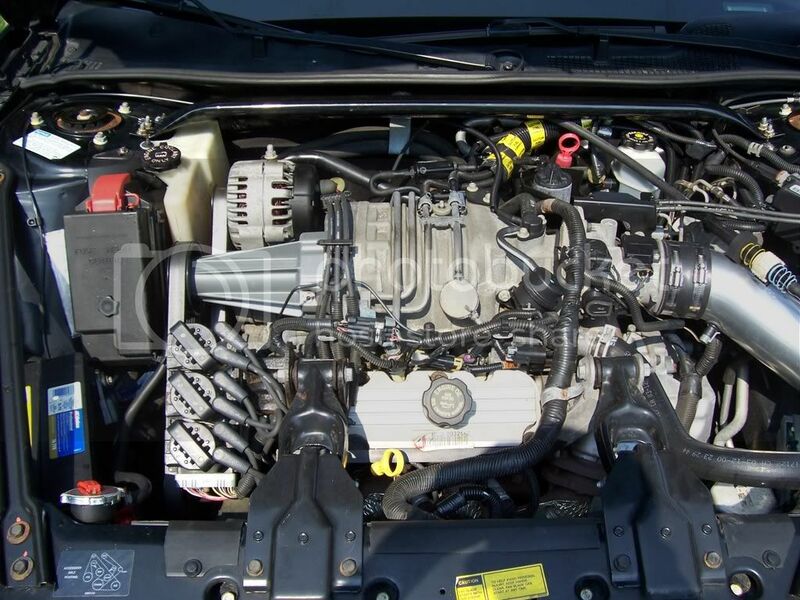 After many failed attempts of finding a Pontiac Grand Prix GTP within my price range, not beaten to hell, or extremely high miles, I started to look at other supercharged powered GM cars. Thinking back to what my friend always said about the 97-04 Buick Regal GS, I reluctantly started looking at those cars instead. 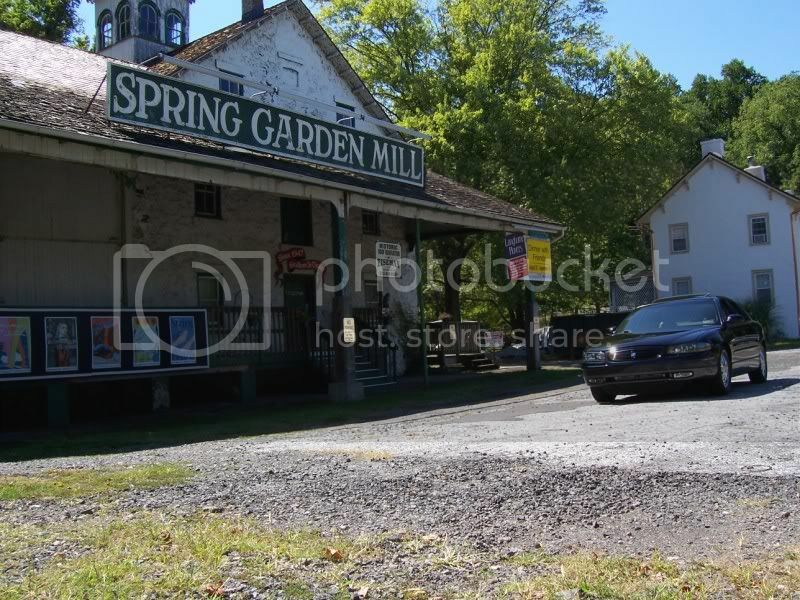 The first and only Buick Regal GS I looked at, which I now the proud owner of, I fell in love with it and knew I had to have it. 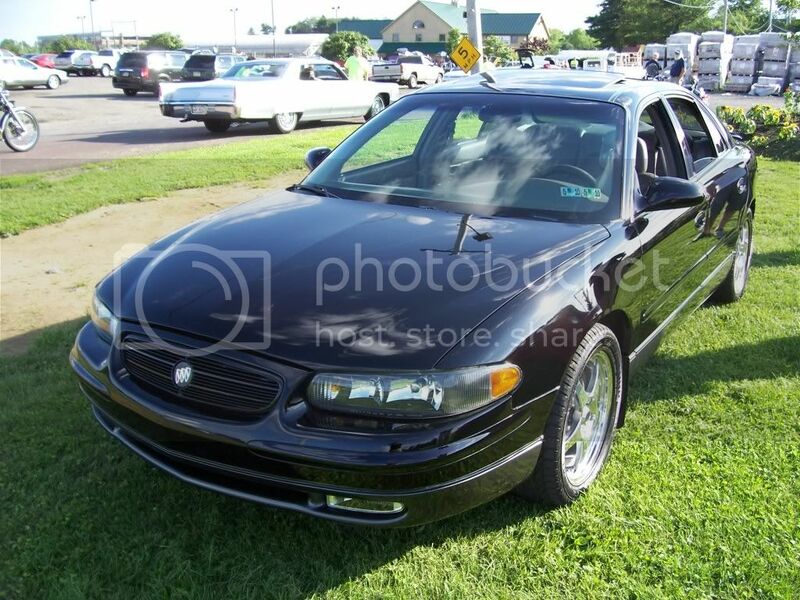 It was owned by an older guy and he kept the car is fantastic shape inside and out considering the miles and age. After agreeing on a price which I never thought I walk away with, the car was sold. The funny thing is I may have never owned this car or a Buick Regal in general if it wasn’t for the dead beat previous buyer. The car was listed on eBay however I caught it the last hour it was listed. There wasn’t enough time to get a hold of the owner, or to look at the car. So I let the auction go and continued my search. A few days later I received an email telling me the car was relisted. Also the seller contacted me saying the buyer was a deadbeat and to come over and take a look at it. 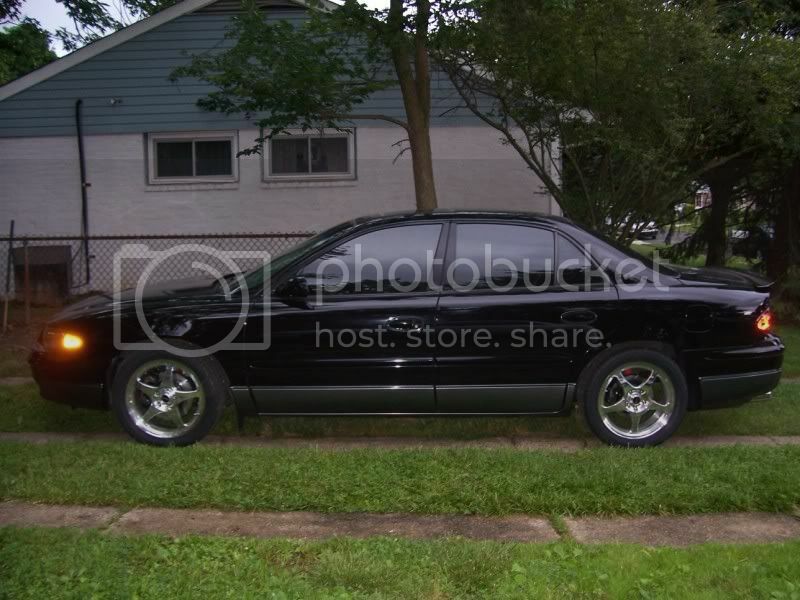 If it wasn’t for that, who knows what I be driving now? 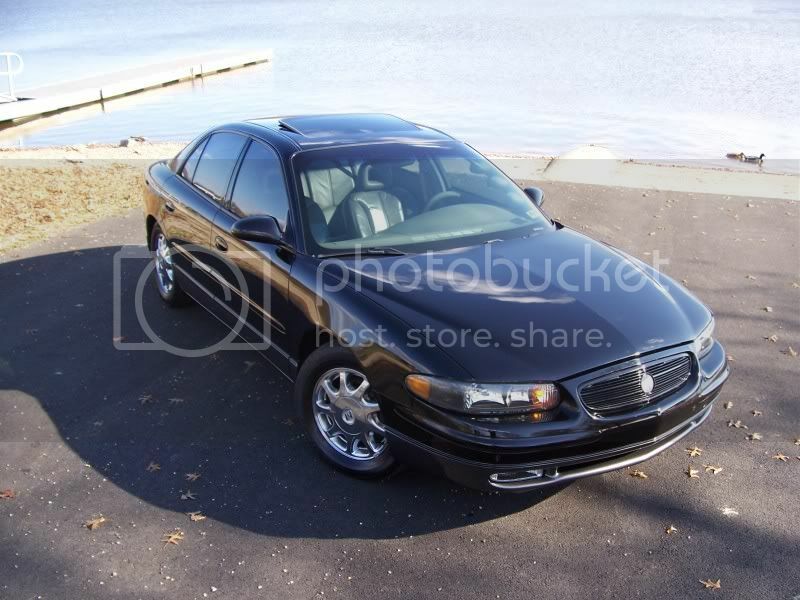 Earlier I said I was looking for a “beater” car to get so I could fix up my current ride at the time. 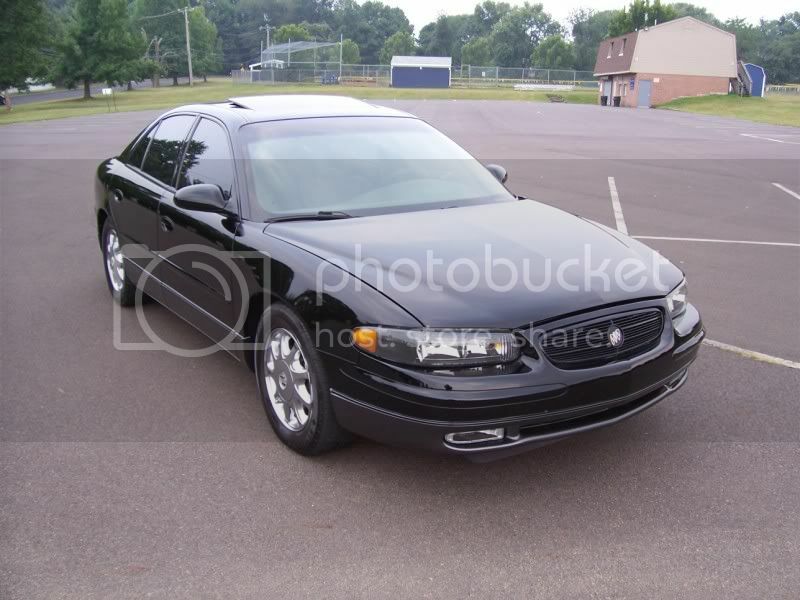 However that soon all changed after getting my Buick. 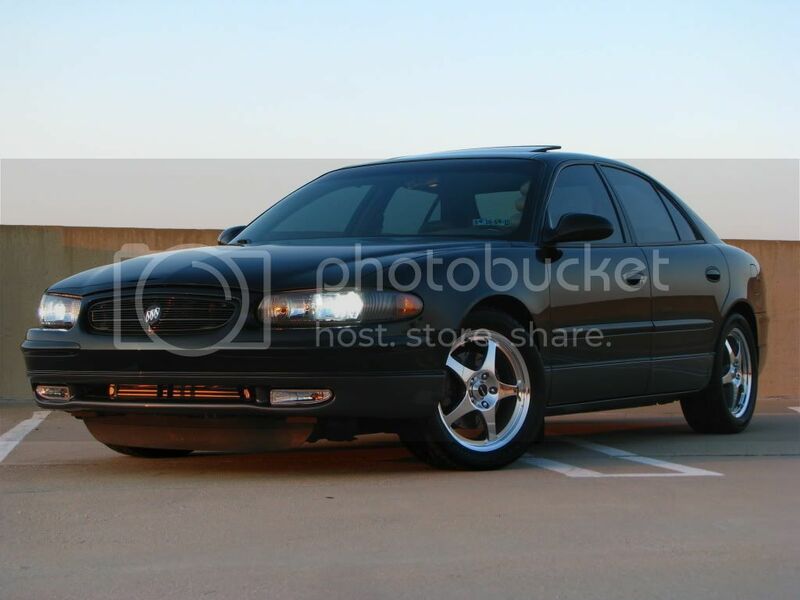 After discovering the decent aftermarket and performance these cars were putting out, I soon decided that this would become my project car instead. I had very simple plans for this car at first and never really expected it to get to the level it is today. However I am very happy at how the car has turned out and it will always be a part of my life for as long as I know. • Prosport Wideband A/F Ratio Gauge. I will be making updates to what I do to the car over time in farther down posts. Just scroll down below to see the progress unfold. Edited by LS5454SS, 18 February 2017 - 06:42 AM. I ran into a deer and it took out my hood, passenger fender, head light, and some damage to my passenger front door. Thankfully the air bag didn't go off so I held onto the car and fixed it myself. I didn't get it fixed however till June of 2008! 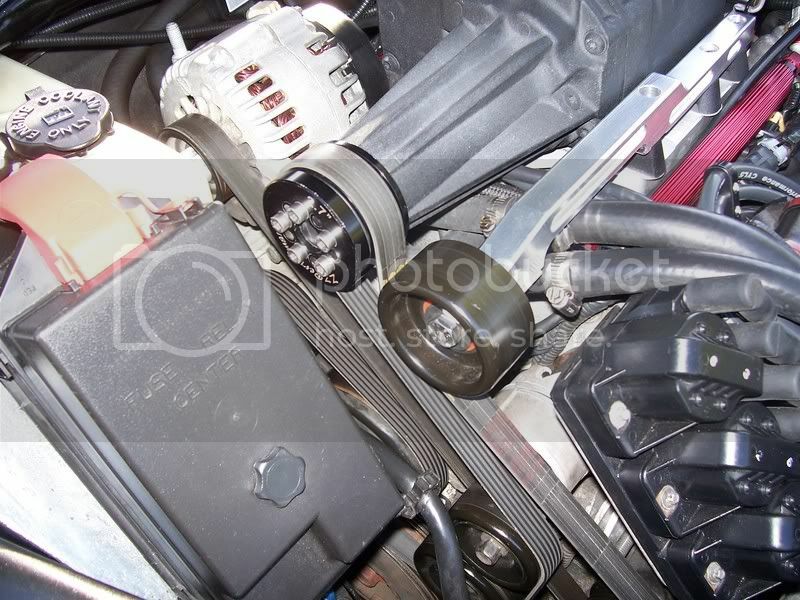 Being that the stock 4T65E-HD transmission in my car out of glass, I lost 4th gear in my transmission at around 135K. I had only put 6K on the car and already it needed a new transmission. I didn’t want to have to worry about the transmission for the life of me. So I contacted and traveled up to Dynotech Performance in New York with my car. They installed their Stage II Racing Transmission rated at 500HP with a 2750 stall converter and changed my gear ratio from the stock 2.93 to 3.29. They also installed my upgraded motor/transmission mounts and GTP engine cradle support bushings. These are much stiffer them my stock Regal ones. After I got my car back it felt like a totally different machine. The shifts were hard and quick and as well the acceleration was definitely quicker. The only thing that brought me back to reality was the totally cost of the transmission and labor. The bill came to $4,000 dollars. It was a bit expensive however well worth it for the long run. At least I can say the transmission cost more then the car did. My original plans was to keep the mods simple. 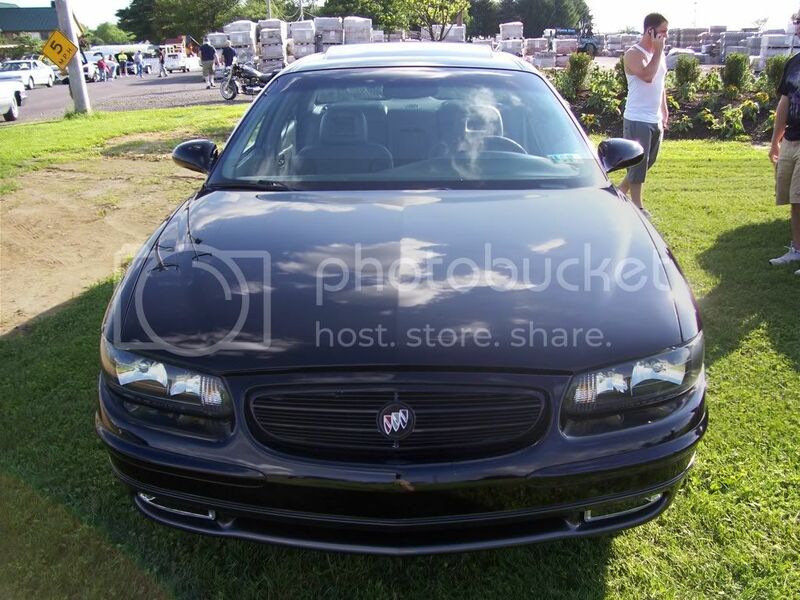 However I came across a member on a Regal forum I was on that was demodding and going turbo on his Buick Regal. The price he was selling the complete de-mod package for was well worth it. 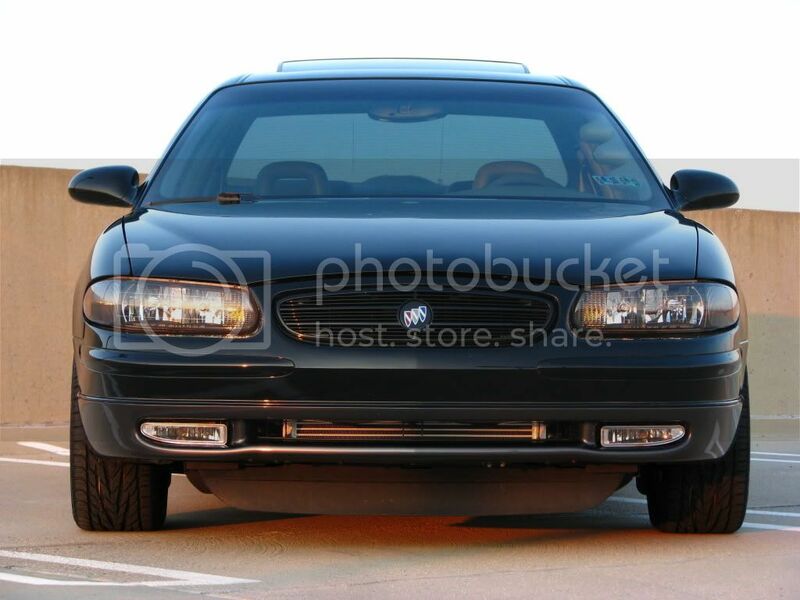 So this is what began "The Big Upgrade" to my Regal. 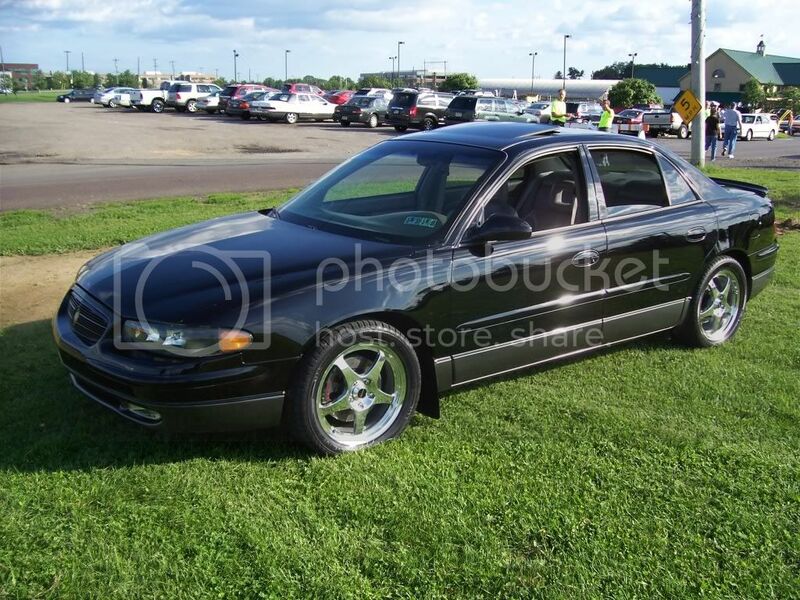 Before I was to have "The Big Upgrade" done to my regal in later September, I wanted to run my car at Atco Raceway NJ first to get an idea of what the upgrades would do. I was pretty nervous however the guys said I did pretty well for it being my first time. My car at the time only had a beefed up transmission, fender well intake, and tune up parts so I was happy with the outcome. These cars do around 14.8-15.0 for a stock ¼ time. Edited by GeforceXtreme, 02 January 2011 - 12:12 AM. 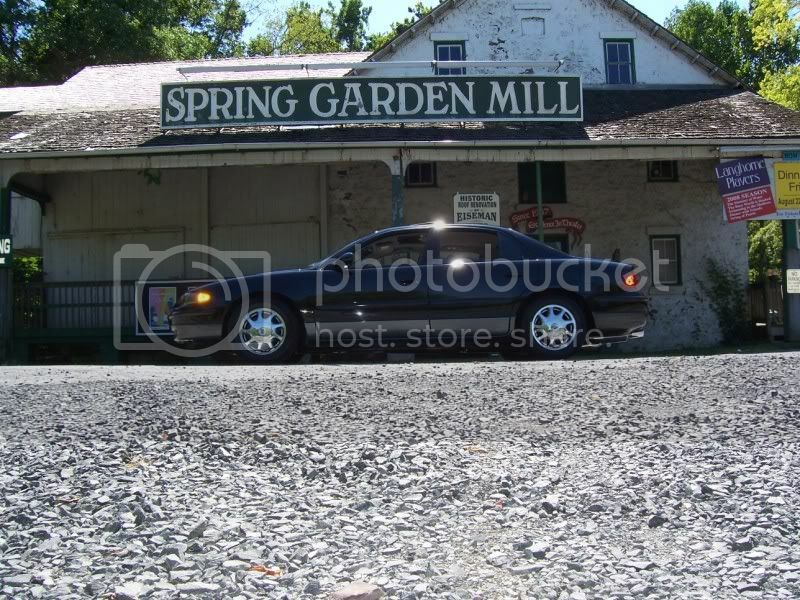 I dropped my Regal off at another W-body owners house up in Lancaster Pa to have "The Big Upgrade" completed to the car. He started working on the car in early Sept and was finished towards the end of October. The reason it took a month was due to shipping delays, and defective products. Once the car was completed however, it was like a totally different beast. Edited by GeforceXtreme, 02 January 2011 - 12:43 AM. What the car does in the first video I ran a 14.5 1/4" time. At the time all the car had was a tune up, FWI, and the Dynotech Trans. I floor it around 20mph and as you can see my tires don't do anything. On 12/31/07 when I was leaving for work I saw my digital camera and being it was new years eve I said what the heck. To my luck the road I was on opened up and I was able to get on it somewhat. The video below is my car now with all the upgrades listed below and running stock WOT timing (keeping it safe till I get my tuner in). I start to get on it around 20mph however I was keeping an eye out so I kind of eased on the gas. Of course the tires still spun. The windows were up in the car this time so it may not sound as loud as the last video. It’s funny how long it takes the car to get moving when it was almost stock in the first video. 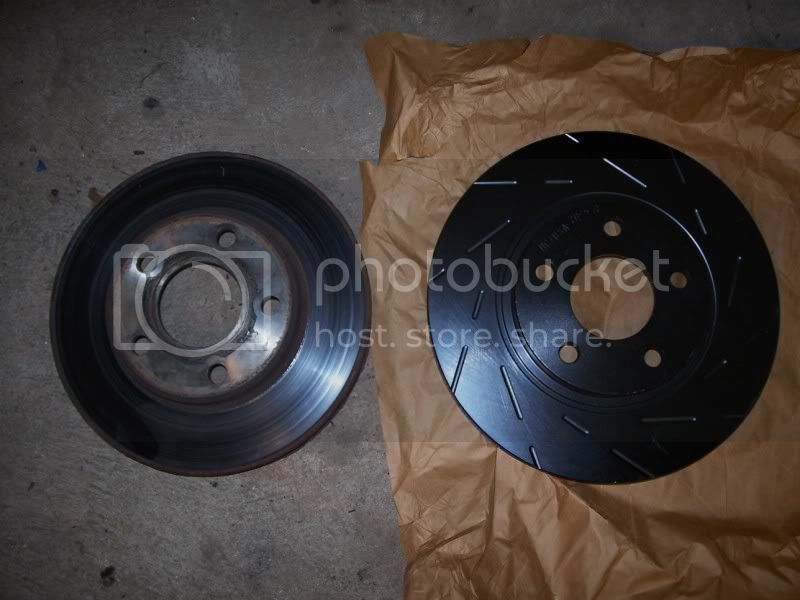 I wonder what my car will be like with a 2.7 pulley and a better tune? The car to me I feel is more then fast enough already. Won't be doing anything else till spring. Well guys the day as finally come and gone to get my car back to the track since getting all the mods done. I know I am capable of pulling off 12's however traction was really a big issue for me. I was on street tires and 1st gear was pretty much worthless. When you watch my videos below you will see that I take off like a grand mom because even up to around 40ish mph my tires would still break loose. I had my scanner in my car and the more runs I made the worse off my tune was. The night before I was scanning and going WOT and the entire time my LTFT were locked in at 0.0 and also my 02's were reading between 930-940. After putting race fuel into my car my LTFT were +3 at WOT and 02's were in the upper 980+ range. I was having no KR before racing so I really should have just stuck with 93 on my current tune. Here are all my videos: My friend recorded the races for me on my point and shoot cam. Sorry they weren't closer but thats as close as it can get. First Run: This was my best run of the night and the car racing me broke down before running. Second Run: This was my worst run because I gave it too much gas and I spun. When I let off the gas a little to recover my car shifted into 2nd gear which pretty much made it into a dog. The SC Mustang ran a 12.199. Third Run: This was the first time I raced this green gutted out civic. Those people really like to revv there cars high. It ran a 12.059. Fourth Run: The white civic killed me off the line however not for long. As you can see/hear I can't go WOT until I am a good distance from the start line. The civic ran a 15.742. All I can say is I had a very fun time and it was just great to get an idea of what the car now runs. Have to consider that the mods installed on my car since Sept 2007's track run was all done in one month. At least I can say I have a low 13 second daily driver. I am kind of glad I didn't run a 12 second because at least I have something to look forward too running next time. I hope when I go back with the correct size intercooler radiator, 2.7 pulley, tuned with a wideband, and drag radials I should be pretty much into the 12's. Back in February 2007 I hit a deer which damaged my passenger fender, head light, door, hood, and bumper cover. Well finally yesterday August 2008 1 year and 6 months later I got my car back from the body shop. The reason it took so long was I wanted to take care of working on all the mechanical stuff before taking care of the body work. If you like to see the before pictures go back to the first page. 3.) Tail lights were slightly darkened. 4.) 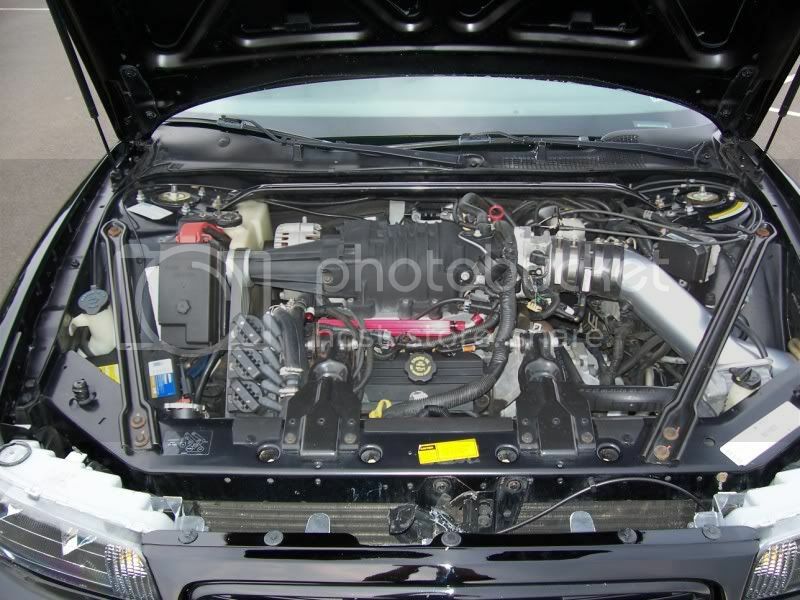 Installed much larger Frozen Boost Front Mount heat Exchanger. 5.) 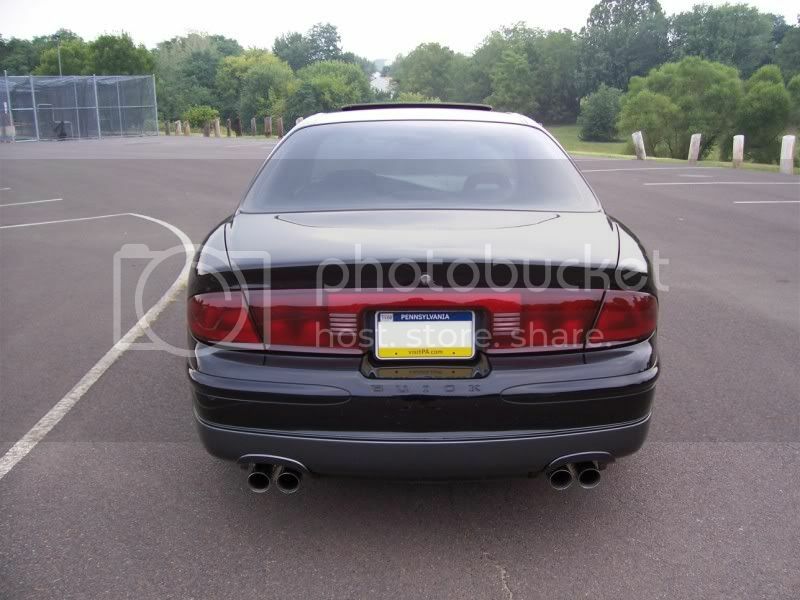 Installed SLP Buick Regal GSX Dual Exhaust Templates. 6.) Finishing up work on SLP Buick Regal GSX Spoiler to be installed at later date. 7.) 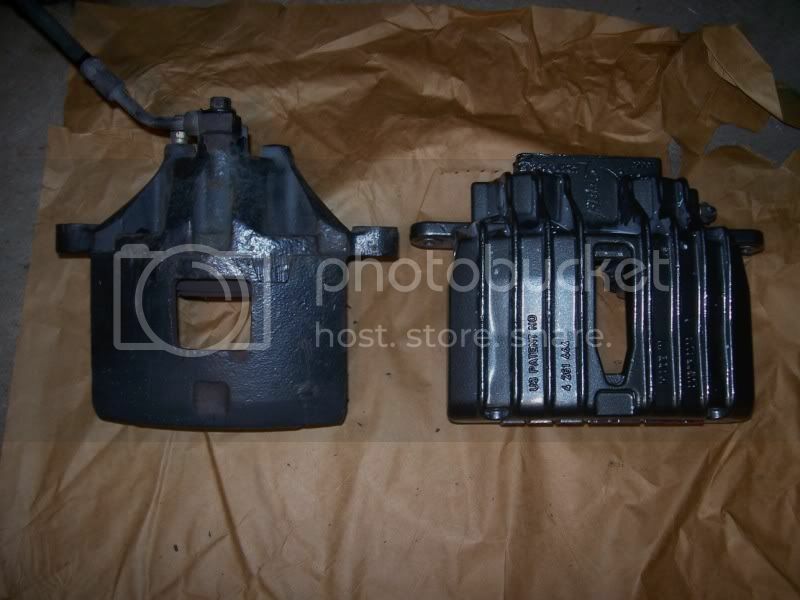 Painted C5 Corvette Brake Calipers Black/Gray like body of car with red raised "Corvette" letters. Well me and a buddy quickly decided to pack our things up and head over to Atco last night. The last time I went to the track was back in June which I ran a 13.115 @ 106.08 with a 2.120 60 foot on race fuel. When I went to the track last night I wanted to see what my car did with 93 octane only so the first 2 runs I ran with 93 then the 3rd and 4th I ran with 110. The different from last time at the track to this time was I was commanding more WOT timing (around 20) had my frozen boost FMHE installed, and WOT rpm shifts were much higher then before. 1.) 1st Run I ran all by myself again on 93 octane. I was seeing KR at 4800rpm in 3rd gear so I lowered it one to 19*. 2.) 2nd Run I ran against my buddy however I threw him off resulting in a time that does not respect what his car really does. This was once again with 93 octane. I did not see any KR this run if i recall. 3.) 3rd Run I ran against a SC Cobalt SS. 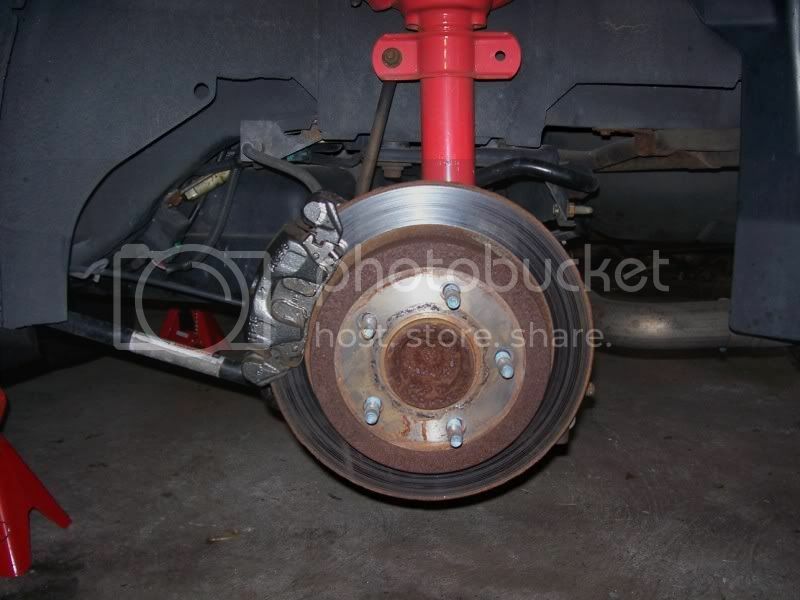 The only thing I could see he had done to the car was install a smaller then stock pulley. He ran a 13.908. I was running on 110 octane this time around. This was my best time of the night and to date. 4.) 4th Run I ran against a 99-04 gen Mustang GT. I don't know if he fell asleep however he ran a 15.780? I raised my WOT RPM shift a little to see if I could somehow pull off a 12 however no luck this time. If I could have SOMEHOW pulled off a 2.0 60 foot I would have been into the 12's last night. However with running 225 street tires I guess its pretty freaking hard to do so. My best 60 foot to date is a 2.1 and that was trying extremely hard to lay into the petal but while at the same time not trying to spin the tires. I REALLY want to try to hit a 12 on street tires before I change over to DR's. I have to say though it was nice seeing a lot of guys coming up to my car being impressed that my size of a car ran a 13 flat. That made me feel good. Also my trap seemed to be much higher this time around. Before I was trapping at 105-106mph and all last time I was doing 108mph. I also ran a 13.1 on 93 octane (would have been better if my 60 foot was lower. Well I went over to a local park near me that I haven't been into for like 3+ years. All I know is I wasn't even driving before I was at this park hah. I remember there being a lake so I wanted to check it out. It was such a nice day (for being 50F) that I decided to take a trip over there. I was coming back from taking pictures at the park when I decided to do some new speedometer videos. I had the camera in the car so what the heck. I didn't WOT any slower then 40mph because I didn't want to burn my tires up hah. Its just funny looking back at my first speedometer video (almost stock) with just a transmission and intake and HOW much slower it was! Also since I have increased my WOT shifts my boost seemed to go up to 12.0 instead of it always being at around 10psi range. That goes to show me that my stock heads are maxing out at over 6,000 rpms. These videos just go to show you what these cars are capable of doing from stock to modded out. Well my friend Manny (1999 Regal GS) Me (2000 Buick Regal GSE) and another friend Dave (2003 Dodge SRT-4) went to Import DPS on 11-22-06 because they were having a 3 dyno runs with A/F for only $45 bucks. At this point I have not dynoed my car so I had no idea what it would put down. In the first run my car put down 315WHP which sounded about right for my setup. Then the 2nd run I did 407WHP and 411WHP on the 3rd run. I think the reason the 2nd and 3rd run was so off because my car downshifted and did a 1st gear pull on the dyno instead of a 2nd gear pull like it did in the 1st run. As much as it was cool to see 400WHP it just didn't seem right for my current mods. So most likely the 315WHP is what my car is putting down. That sounds about right being on club GP the highest WHP with a VS cam is 341WHP and that's with stage III heads vs my stock heads. I am just happy that my car puts down over 300WHP to the ground. 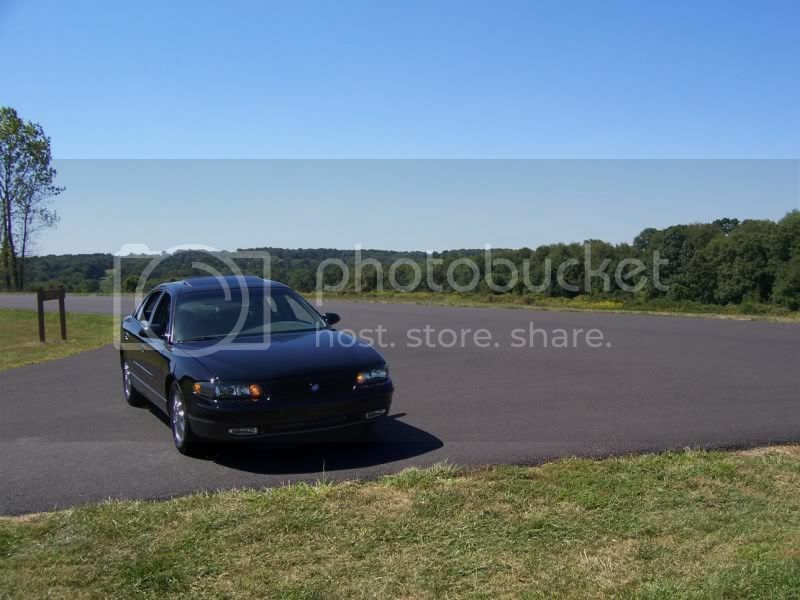 Manny's Regal put down around 255WHP and Dave's SRT-4 put down around 265WHP. After getting my car painted back in June/July 2008 I decided with the amount of expenses and miles my car already had at the time I was going to retire it as my daily driver. 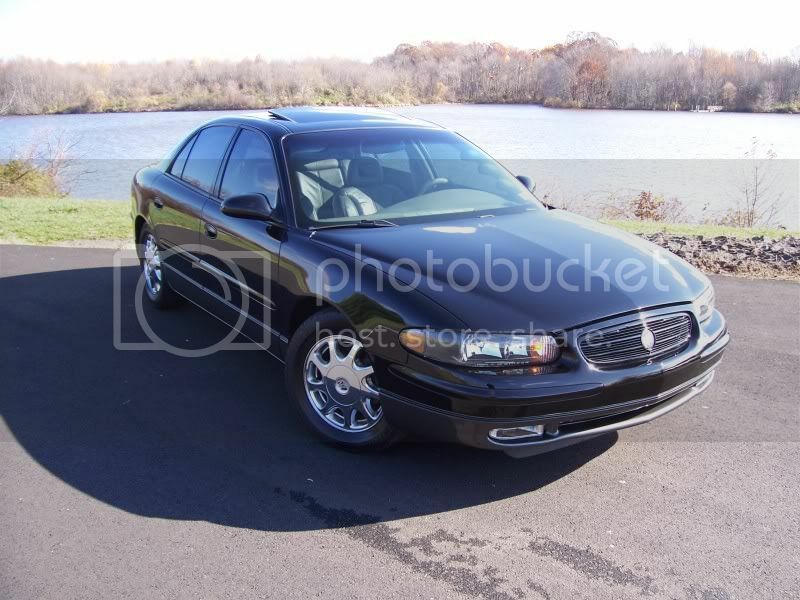 So as we got into the winter months I parked my Regal and started driving a 4 cylinder 5 speed beater I picked up. I have been enjoying the amazing mpg and manual trans. 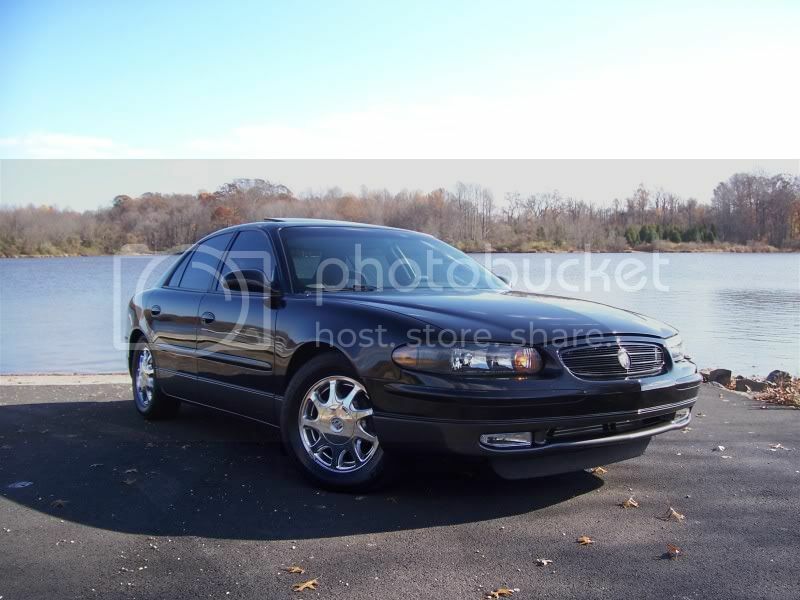 Being that we are now getting closer to spring I think its time to bring the regal out again. I still have some work I have to do with the car. 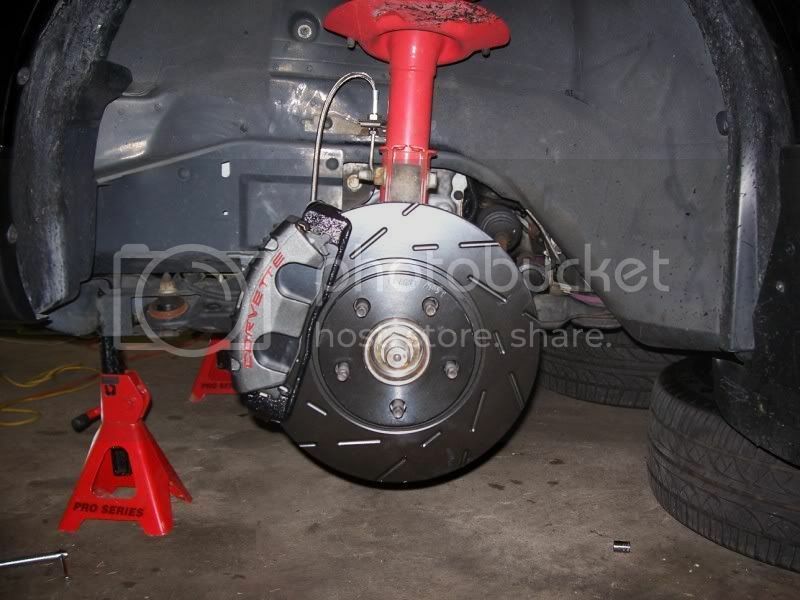 I still have to install my Corvette brake upgrade, install my PLX wideband, poly dog-bone bushings, and try to pick out a set of 17” rims so I can eventually install some much needed wider tires. The narrow 225 tires are just not cutting it anymore on this car. With the amount of people going turbo these days in my car I have been extremely tempted to demod my setup and go turbo. However I feel like I just had this setup installed onto my car and I hardly have any runs on it. My best ¼ so far is 13.003 @ 108.31 on street tires and pump gas and pulling a 3500lbs sedan. 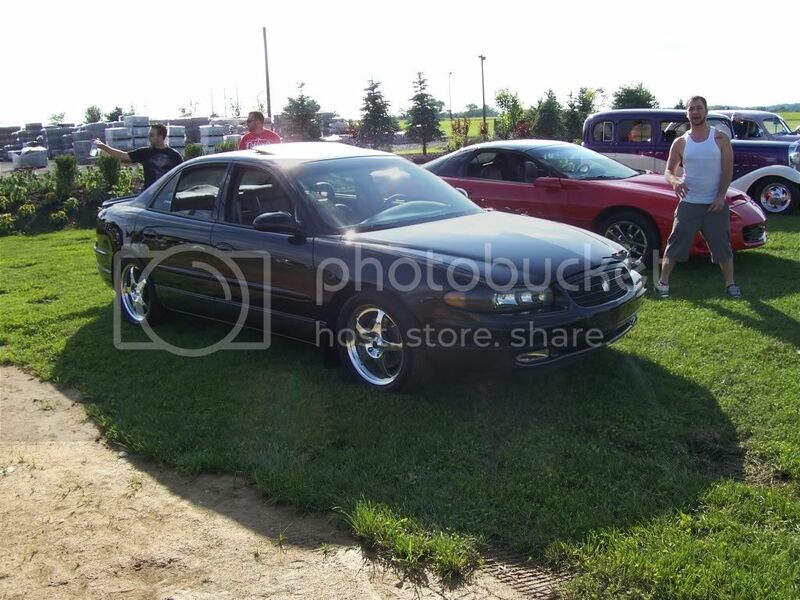 At that time my car was putting down around 320WHP at around 10psi if I recall. 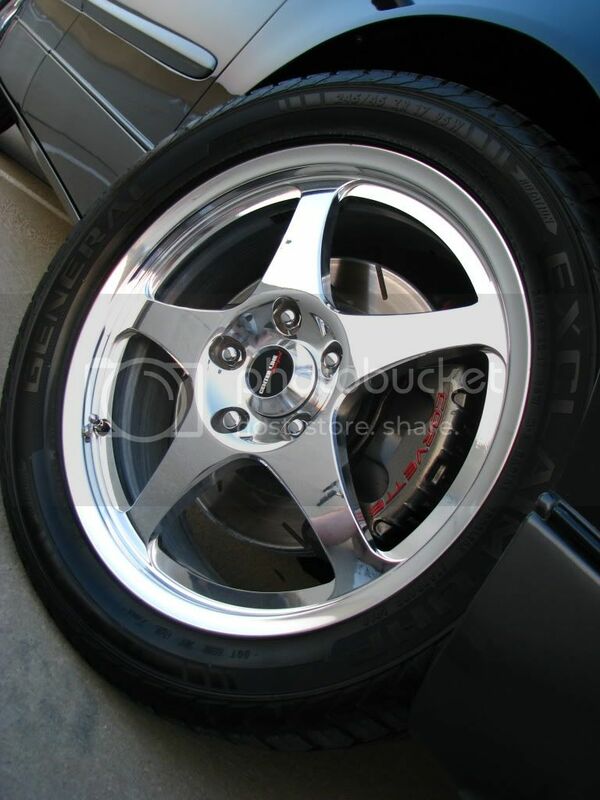 So instead of going turbo my goal for 2009 is to break into the 12’s on my everyday 225 wide street tires and pump gas. I want to break 12’s on a street setup before slapping on a set of drag radials which would make it all the much easier to accomplish this goal. I am not sure if I am going to be able to get off the line any faster then I am now. I just hope with my wideband installed, much better tuning because of the wideband installed, and possibly drop to a smaller pulley I can pull off 12’s finally on a street trim. I am so close it stinks! I just hope the first time I take it onto the track for 2009 I can somehow pull off a 12.99. My 108mph trap time is definitely there. I just need to do better then a 2.1 60 foot to get me that 12 second run finally. I plan to be going back to Atco to accomplish this so hopefully some of you guys will be there to catch my goal for 12’s. Wish me luck! 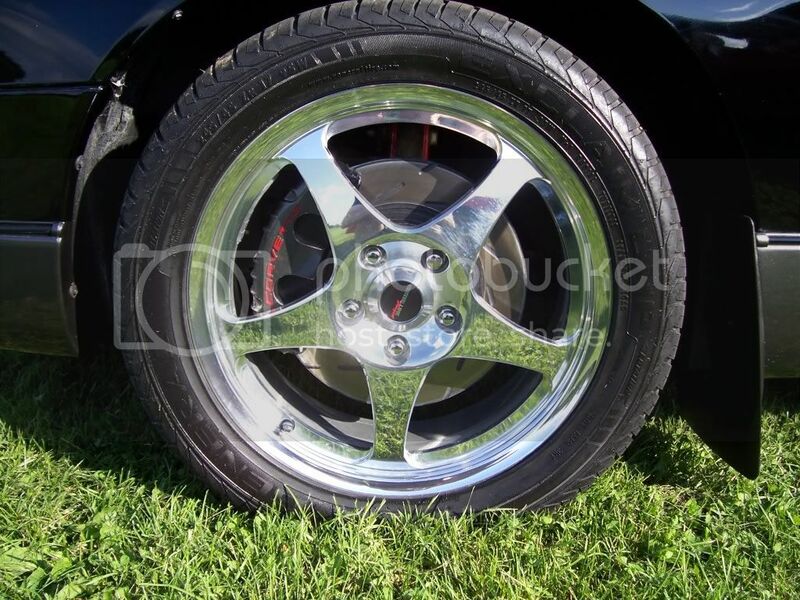 Centerline wheels & C5 Vette brake upgrade complete! 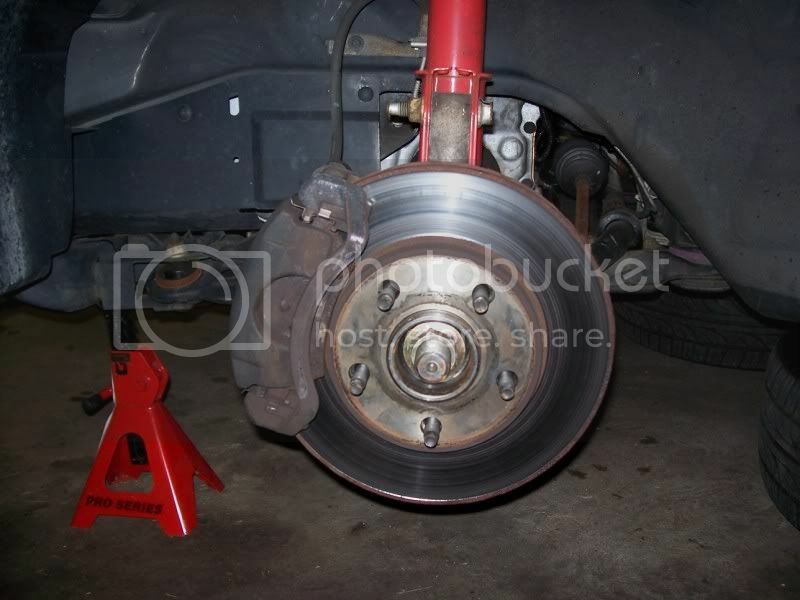 My stock braking system was lacking greatly with the modifications I have installed into my car. 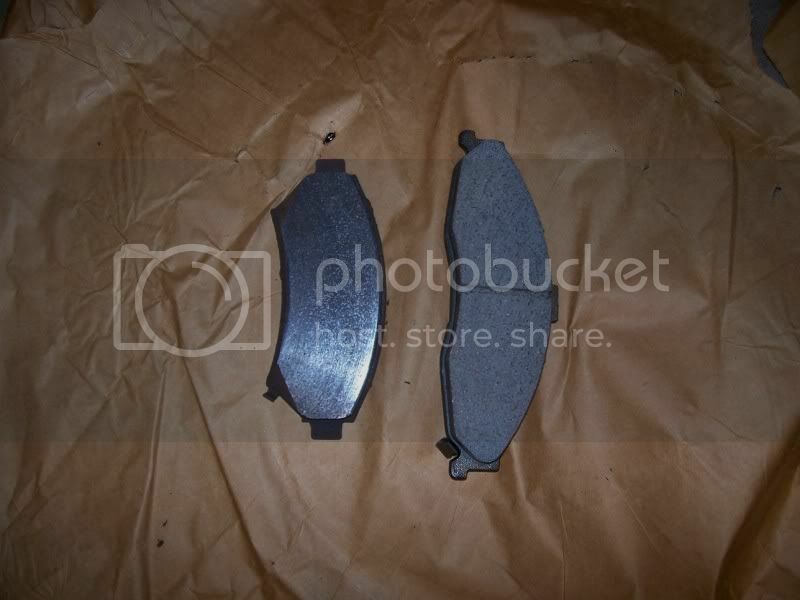 Upgrading my brakes should have been one of the first items I did however finding what I was looking for took some time. The funny thing is on the way to my buddy’s garage to install all these upgrades I almost rear-ended someone that slammed their brakes on right in front of me. With all the extra weight in my car plus my lacking braking system it was way too close for comfort. So I knew I just had to get this done this weekend. I took some quick pictures while I was doing the work and right after. They aren’t the best but you get the idea. I was worried there was going to be too much wheel gap being I was going with a 45 series tall tire and my car only has a 1.3” drop. After dropping the car onto the ground there was some wheel gap. However thankfully this morning after the suspension had time to settle the wheel gap isn’t that bad. I have to say the upgrades were well worth it. The car handles/performs/brakes much better than it did before. 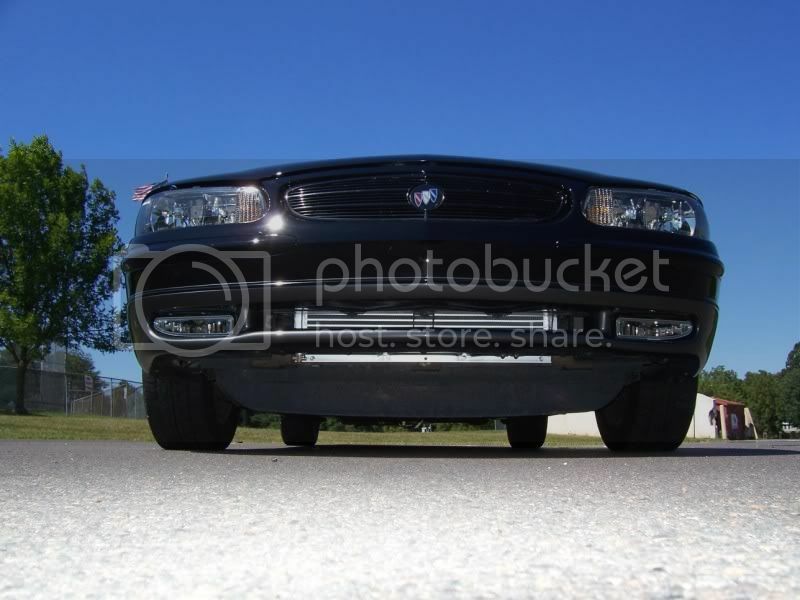 Also shedding 50lbs+ possibly will help me with gas mileage and as well performance. 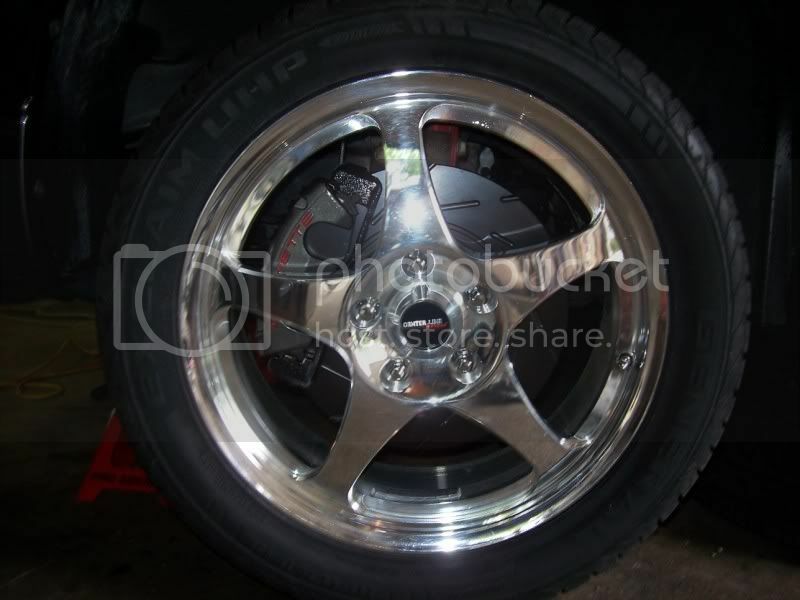 With the much lighter wheels/tires that will also help with taking some stress off my axles and transmission. The car does seem faster to me then it did before so I must have taken off some weight. However that could all just be in my mind hah. I have had the wheels on the car for a few weeks now and I love them. Every time I went to take a picture either the weather was bad or I just didn't have the car out. I haven't had the time to take any pictures of the car since the Centerline wheel upgrade and also my C5 Corvette calipers went on. These were taken at the Shady Brook show last week with my point and poop camera. Hopefully one of these days a member on the site here with a "professional" camera can take a better picture of the car. All I can say is the car looks great to me considering I drove the car over a year with really damaged paint and the entire front end smashed up from a deer. I finally got my Regal into the 12's! Well since 2008 my best 1/4 time to date was a 13.003 @ 108.31 with a 2.150 60 foot. I have been dying to get my car into the 12's on a street trim setup. 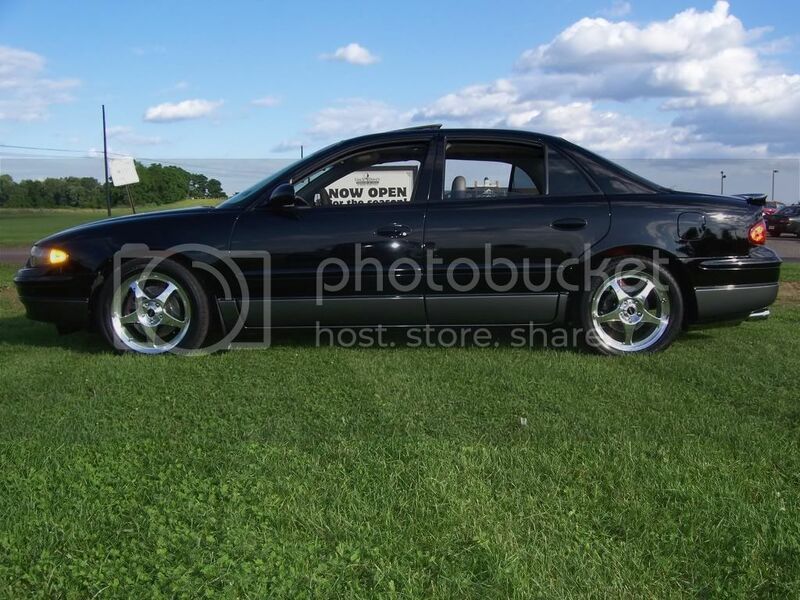 Last Thursday before going to Atco Raceway NJ track later that day I swapped on my 2.7 pulley and did some tuning. I ran the car with my new street tires and 93 octane pump gas. The newer tires seemed to help a little bit more off the line but once the boost kicked in with the new pulley the tires were pretty much useless at that point. I started slipping around the 50mph+ range which I think is why I trapped a slower mph this time around then in the past? For some reason the track this year has not been that great either. The last time I was at the track this year I saw my worst 1/4 times and 60 foots. Even if my 60 foots weren't that much better and my mph was slower I was able to pull off a 12 second run finally. I felt so happy after getting my time slip and seeing a 12.99 instead of the same old low 13 runs. I know my car should technically be faster with the mods I have. However unless I throw some DR's or slicks on the car I myself really don't think I can do much better. I really think if I was able to cut a lower 60 foot I see mid 12's. However with the new 2.7 pulley the car just feels like a totally different beast to me and I more then happy with a 12.99 slip. On my first run I pulled off a 12.994 @ 107.82 with a 2.118 60ft. I raced a newer turbo BMW sedan. On my second run I ran a 13.126 @ 107.52 with a 2.107 60ft. I raced a Integra coupe. On my third run I ran a 13.401 @ 107.58 with a 2.261 60ft. I raced the same Integra again. Last Saturday 7-18-09 I attended a local Regal GS meet. It was a decent turn out considering the short notice. We all had a great BBQ at a local members house then cruised over to the Lowes parking lot in Eastern PA for the car show. After wards we stopped over at the Willow Grove Mall to take some pictures with the rest of the members that stuck around that long. One of the members had a much better Camera then my point and shoot and pulled my car aside to snap some pictures. Due to the lack of time/light we went up to the top floor of the parking garage and snapped some pictures. 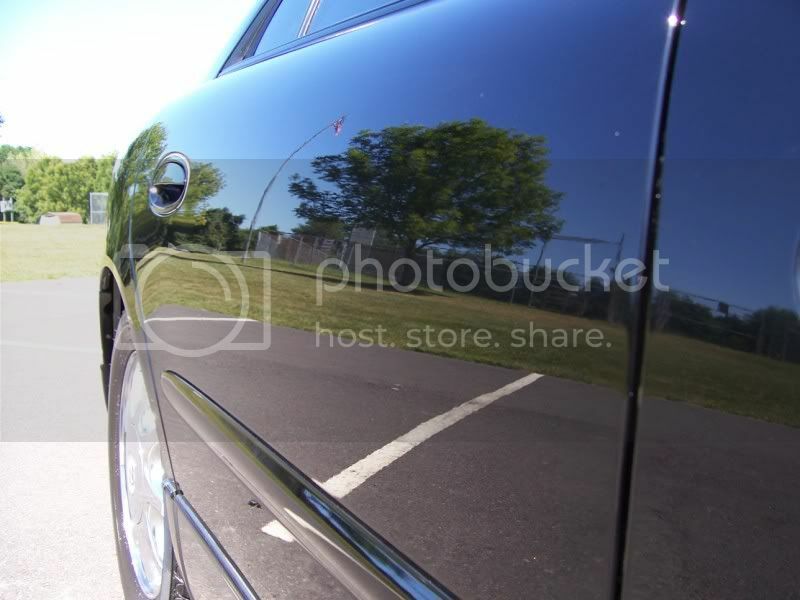 I have to say they are the best looking pictures I have seen of my car yet vs my point and pooper camera. He told me these are unedited but they are good enough for me. Edited by GeforceXtreme, 02 January 2011 - 12:28 AM. Took my regal with a few other members over to Sloppy Mechanics 3rd Annual Fall Dyno Day in Allentown Pa. 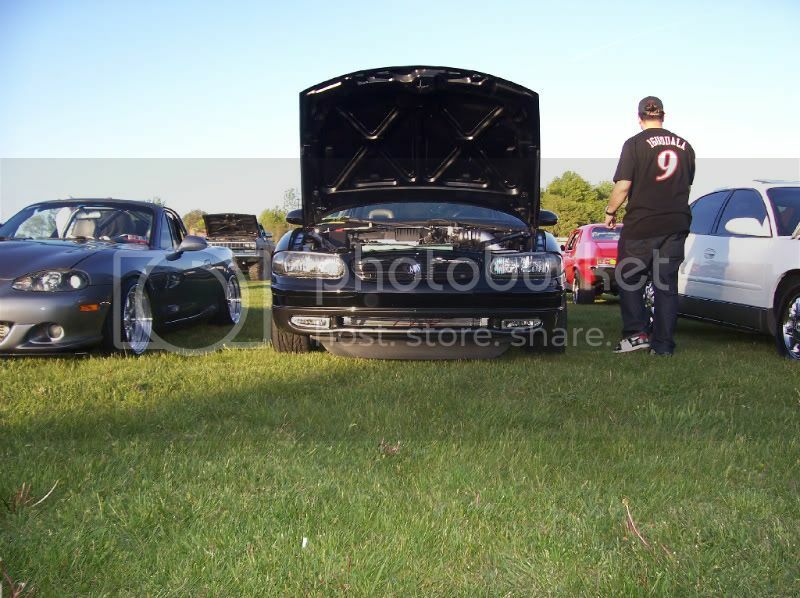 This was a fun event and I was glad to see so many different types of cars and good group of people. Edited by GeforceXtreme, 02 January 2011 - 12:30 AM. I was lucky enough to come across an Eaton Gen V SC for pennies and sold my old one to my buddy. Before I installed the Gen V SC onto my car, I stripped it down to clean it up, have the outlet ported out for my Intercooler. I also painted the housing black to match my valve covers. During my gen V SC upgrade, I decided to throw some other parts onto the car while I was at it. After completing this setup, my boost psi level went from 10 to 12 PSI up to 13 to 14.5+ PSI. My boost level is also much more constant then it was before. My cars supercharger belt was slipping horribly without the belt wrap kit I have now. I actually was losing more boost then my car could have actually produced back then. The car certainly feels like it has picked up some decent power. I guess it all comes down to what it puts down at the next dyno and track event. I may actually have to get a larger pulley for the new supercharger because I was seeing knock at WOT. I can tune it out, however I am trying to keep to a strict tuning method on my car. First time back to Atco this year with my new Gen V SC setup. Ideally I wish I was on a smaller pulley with the Gen V at the time. I had to run a 3.0 pulley being it was the largest I had being my 2.7" Pulley I was running on my old SC was way too small. Got to the track pretty late and of course bad storms were rolling in. Was only able to run twice before it started pouring. It was already wet outside and my traction was horrible. Edited by GeforceXtreme, 02 January 2011 - 12:34 AM. After having a great weekend with the crew and enjoying my car all that time around 11pm Sunday night... snap! I was crossing an intersection to pull into my buddies neighborhood just about ready to drop everyone off and go home. I gave it "some" gas to get going and all of a sudden I hear something snap and never thought I see my car revve up so high so quick lol. Anyway I coasted to a stop and I never felt so sick in my life. I seriously thought I snapped something internally in my trans which most likely would be the end. 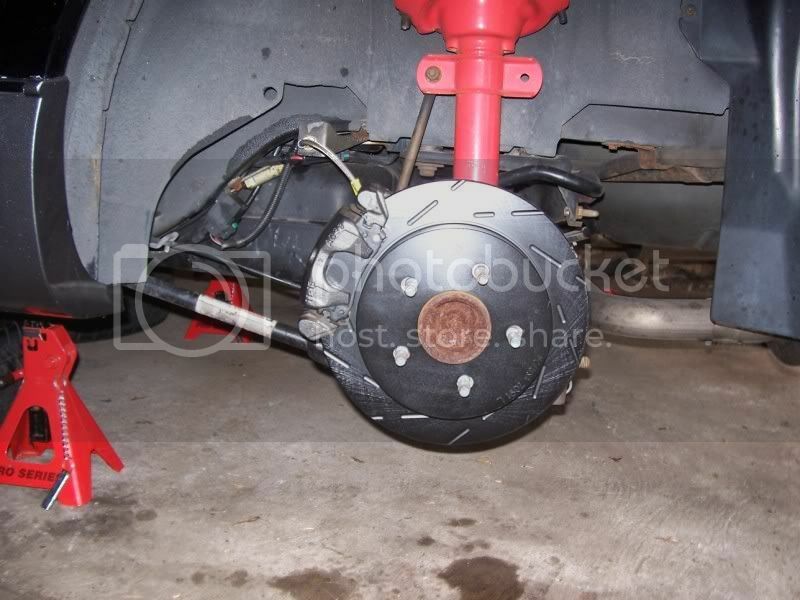 However after getting out and looking under the car I was so happy to see that it was my driver side axle once again. I mean it still stunk however I rather it be that then a transmission that cost more then my car did. So with only 11K I snapped another HD axle in half. I guess its time for an ever better upgrade. I can't complain being I have 155K on the car and have only broken 2 axles and lost 4th gear in the trans. I guess these axle's don't care for the boost it sees with the new supercharger. 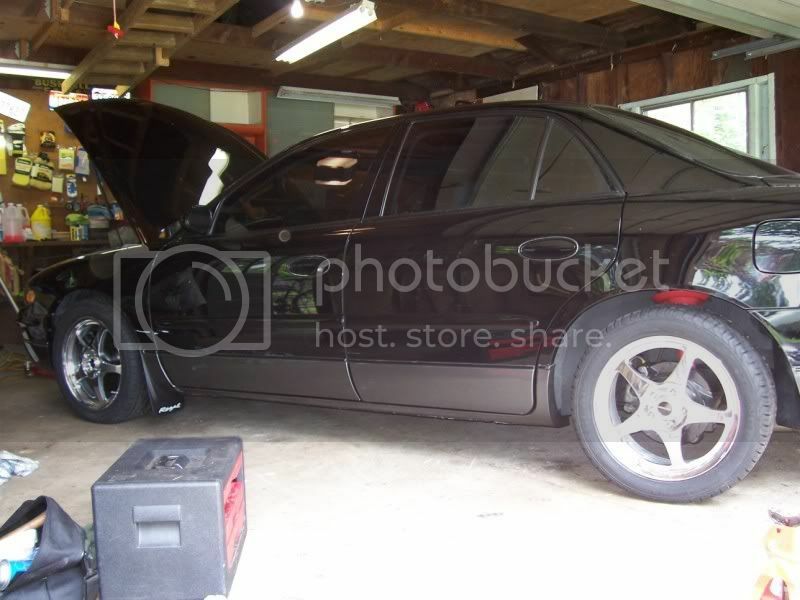 Guess its time to hunt down even better axle's that can hold up to the punishment of my 3.8 torque monster.. yeah right! I once again took my regal and a few other buddies over to the Sloppy Mechanics Fall Dyno Day in Allentown Pa. As always it was a fun time and got to see a lot of cool cars go on the dyno. I just had to mess with my tune before going on the dyno which was a big mistake. This put my AFR in the mid 12's to low 13 range which was way too lean for my setup. Ideally I was supposed to be running 11.8. This resulted in knock on the dyno which dropped my timing. 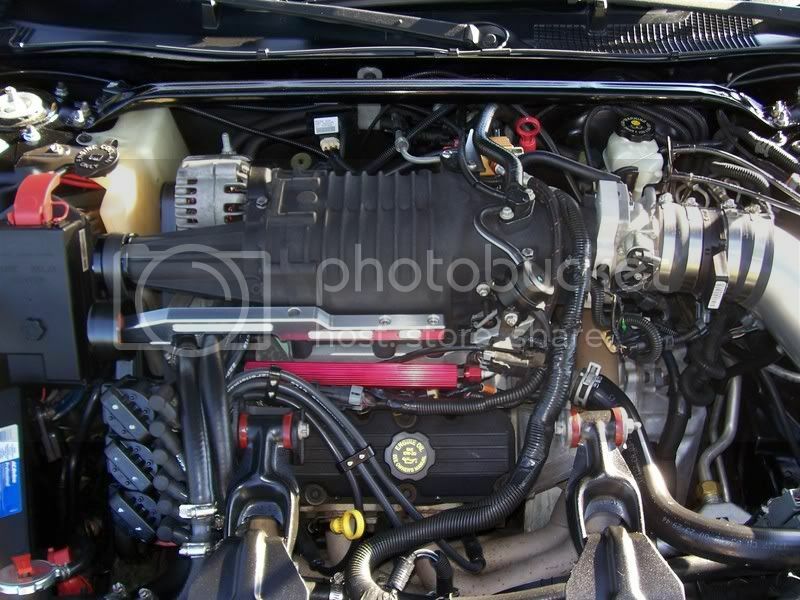 I did make more WHP then last year (319WHP) with my old supercharger setup, however not as much more as I thought. The gains may have not been too much on the dyno however the car certainly a totally different machine after the SC upgrade.